The monument is made up of two granite blocks supporting a third which form a rectangular frame around the iron bell. The monument, as a whole, stands approximately three feet in height and four and one-half feet in width. 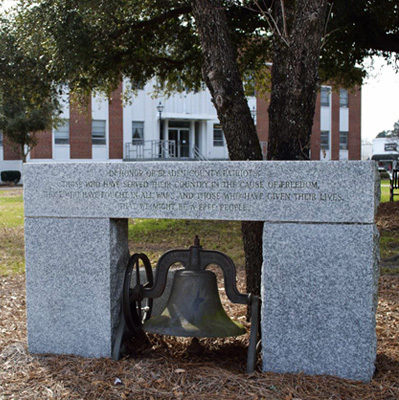 The bell was dedicated by Mrs. Wanda Campbell on May 31, 1976 in front of a group of unidentified onlookers. The bell can be rung by pulling a role attached to the monument's south side. The monument faces northeast toward the intersection of East Broad Street and Courthouse Drive. It stands on the edge of the Bladen County courthouse lawn. The monument stands at the northeast edge of the Bladen County Courthouse lawn. It shares the lawn with three other monuments: the Sallie Salter Monument, the Fallen Heroes Memorial, and the Freedom Tree. The lawn is also decorated with trees and benches. 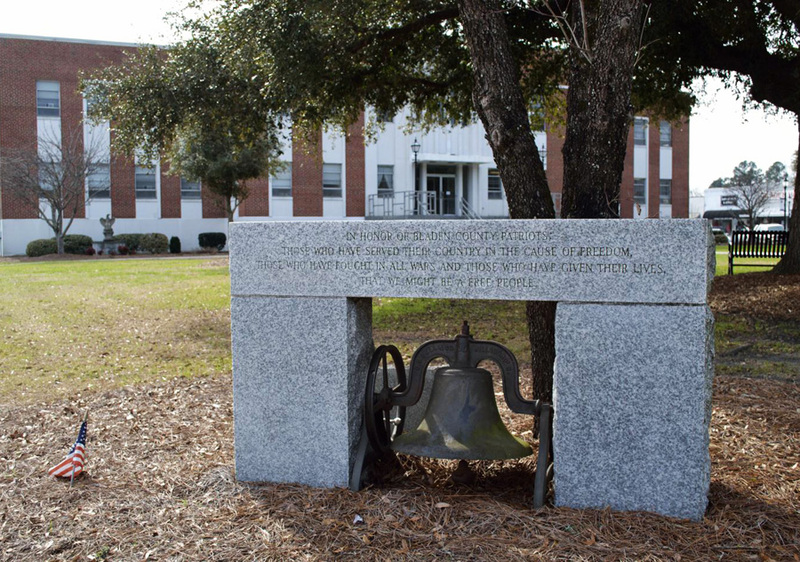 The bell is used in the annual celebration of Constitution Week (September 17-23). The bell is rung once for every year since the Constitution was ratified.